Made in the heart of America by expert Amish woodworkers, your new Amish Hoosier Heritage Bed will be made to last for a lifetime. Available in five different bed sizes and a wide variety of wood types, you can be sure to find a size, wood, and finish combination that will look great in your bedroom suite! 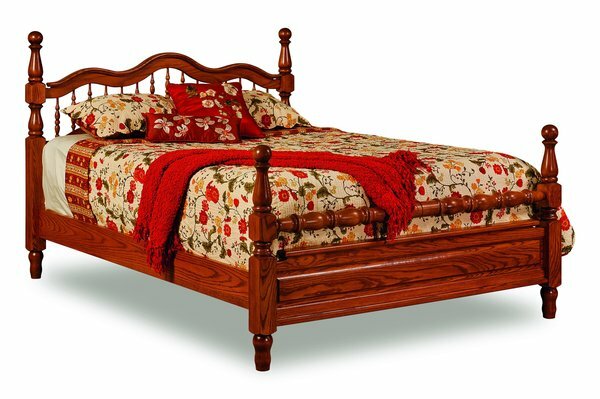 Authentic Amish hand-craftsmanship and quality domestic hardwood combine to bring a durable and beautiful bed. This heirloom bed will be capable of becoming the centerpiece in your suite. Get yours today and enjoy the years of sound sleep. Shown in Rustic Cherry with New Carrington stain.